We provide superior quality Mens Wool Argyle Socks to our clients, which are designed using premium quality thread. Available with us in a large variety of patterns, colours and designs, these socks are designed in order to meet the latest fashion trends. Also, we offer these socks to our clients’ in customized specifications. Clients can avail the offered socks from us at most reasonable prices. 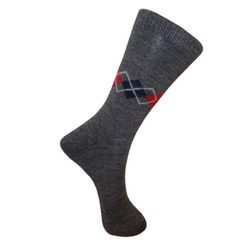 Looking for Mens Wool Argyle Socks ?